But before we examine these VPN providers, let’s take a closer look at why you need a VPN with a fire stick. Stop your ISP from spying on your browsing activity (which is legal in the US, UK, Australia and many other parts of the world). Get around geographic restrictions to easily access blocked content. Protect yourself from potential legal issues. As we discussed in the Kodi VPN guide, streaming is often a grey area. But even more concerning, the consequences for copyright violations can be huge (up to 10 years in jail in the US and UK). Governments and industry are now also targeting streamers, whereas before they were mainly focused on torrenting and direct downloads. Luckily, a good VPN service is the best solution for these issues because it will protect you through encryption. One other issue to be aware of is that the current version of Fire Stick (second generation) is limited on processing power. Running a VPN on a fire stick requires lots of processing power (CPU) to encrypt/decrypt data. Therefore the lower CPU on the Fire Stick may slow down your speed. If you can upgrade to Fire TV, you will likely notice better overall performance due to the faster 1.5 Ghz processor. Fire TV offers more processing power and better performance than the Fire Stick. Another option for optimizing performance is to use a VPN on a router (and then connect your Fire Stick to the network as normal). Once again, you will want a VPN router with higher CPU (greater than 1 Ghz, ideally 1.4 Ghz). In the steps below we will be using VPNArea (see the VPNArea review). VPNArea does very well with both privacy and streaming. It offers you many advanced features to ensure you stay protected online, while also giving you a VPN server network that is optimized for streaming. See all VPNArea features here. Note this setup will only work with a second generation Fire Stick or Fire TV. 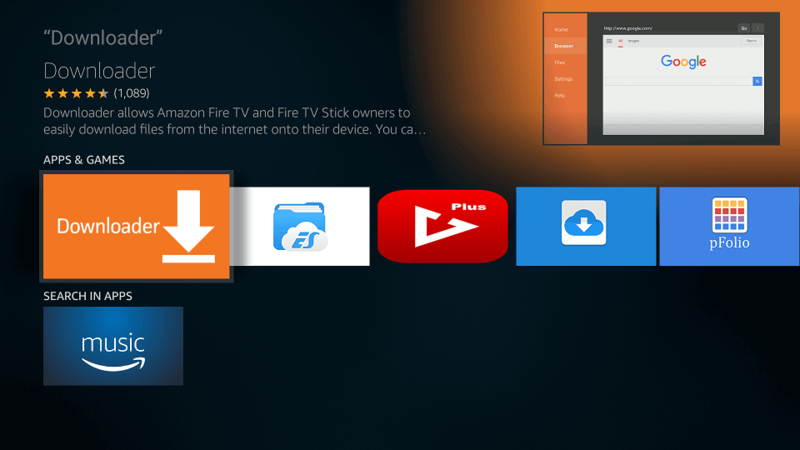 Step 1: Go to your home screen of your Fire Stick (or Fire TV) and scroll to the right and select Settings. Step 2: Once in Settings, go to the right and select Device, and then select Developer options from the menu. Step 3: Find and select Apps from Unknown Sources. You will then see a popup window asking you to confirm. Confirm by clicking Turn On. Step 4: Now return to the Home screen and go to Apps > Utilities> and then download the Downloader app. If you don’t see the Downloader app in the Utilities area, just search for it with the Zoom icon/button, or hold the microphone button on the remote control and say “Search Downloader app” and release the microphone button. Step 6: Once the download finishes, you’ll be asked if you want to “install this application?” – select INSTALL. Step 7: After you have installed the application click OPEN. Now the VPNArea should open. 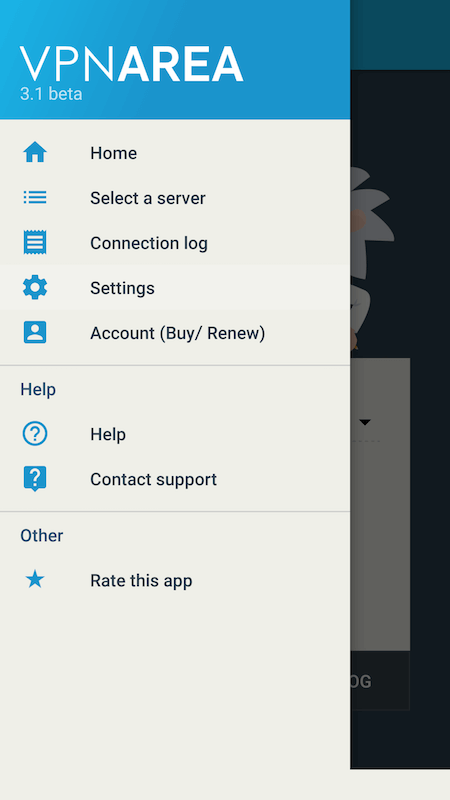 At this point, the Menu button should be deleted by default, so just click the round select button on your remote control, which should bring up the VPNArea app menu. Step 9: After selecting your server you will be taken back to the Home page. Now click downward two times and then one time to the right, you should see that the OFF button is selected. Click on it. Now enter your VPNArea username (not email) and password. Finally, click downwards once and right once towards the OK button. Step 10: You should now be connected to the VPN server you selected. You should see the green ON button verifying your connection status. That’s it! Enjoy your Amazon Fire Stick or Amazon Fire TV with VPNArea. Select the best server. Usually the best server will be the one nearest to you with the fewest users. This will help to ensure good overall speed and reliability, while also ensuring there is plenty of available bandwidth. Your ISP is watching. As mentioned earlier, internet service providers can (and are!) legally recording user activity in the United States, UK, Australia, and much of Europe. Keep this in mind at all times and protect yourself accordingly. Always use a VPN. Taking into consideration all of the various copyright laws, as well as the general loss of online privacy, it is a good idea to always use a VPN service. This will restore your internet privacy while also securing your electronic devices. And never use public WiFi without a VPN – it is no longer safe. 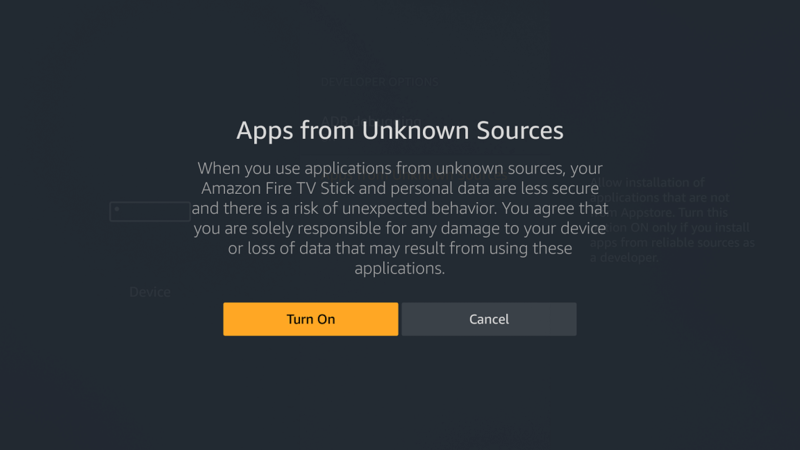 That’s it for this guide on setting up a VPN with Fire Stick or Fire TV. Enjoy your streaming and stay safe! Do any of these 3 VPNs allow you to watch Amazon Prime on a fire stick? Hi Ken, I have not tested any of these with Amazon Prime, so I don’t have an answer on that. 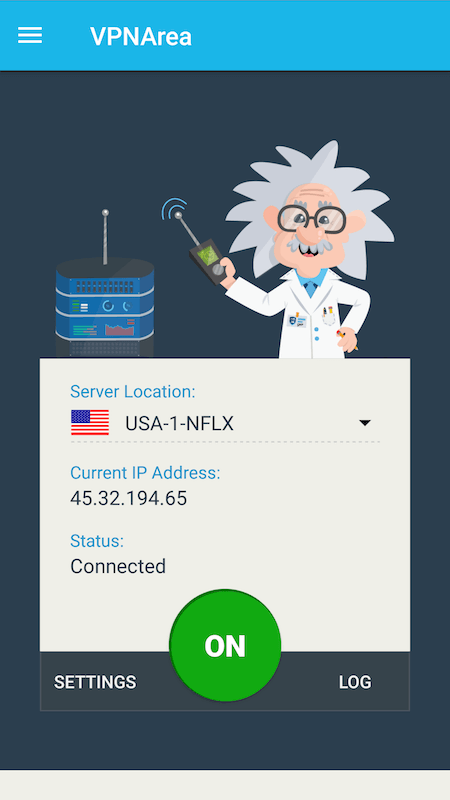 I use NordVPN on my firestick, I am able to watch Amazon Prime. If you need any more help please get in contact. Vyprvpn os not compatible with the firestick.android tv box yes…firestick NO..
My apologies! It has been removed. I read that VPN.ac has app from December. Did you checked? Hi Jorge, that is news to me. But you are correct, I read this on the VPN.ac site that a new version of the app was released on 19 December and they will be adding it to the Amazon store soon. You can get it directly from the VPN.ac website. Is there no VPN for the original and or 1st firestick that came out. Hi Michael, the problem is that the first generation Fire Stick does not support VPN use. Dude, I’m super frustrated due to the fact I bought a perfect privacy vpn for my firestick and it seems that it’s not compatible. I chose that one based on your recommendation for the best vpn on the market. Now I just saw this article recommending other vpn companies for the firestick. I sent an email to perfect privacy asking them about this because there is no mention of firestick on their website. Please help with an app I can download to my firestick that will allow me to use perfect privacy vpn. Thanks! 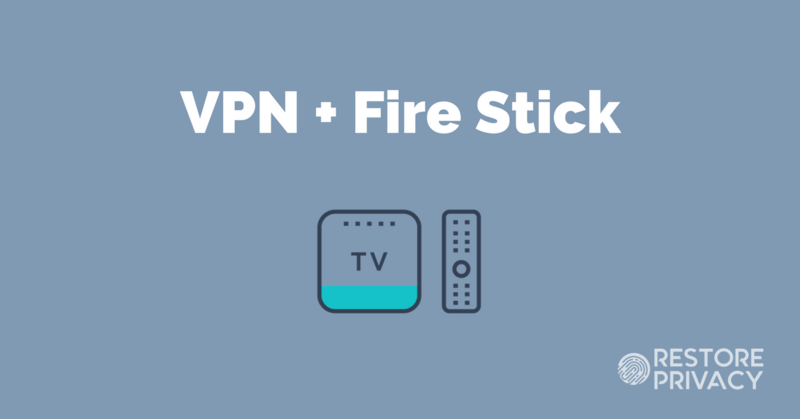 I just updated this guide with the VPNs that offer direct support for Fire Stick and Fire TV. IPVanish, VyprVPN, and VPNArea are all good choices for streaming and use on a Fire Stick and/or Fire TV. Also note, the first generation of Firesticks will not work with VPNs (you need second generation or later).